The country should brace for gospel vibes from Davis Njobvu of the Edgar ndi Davis Band fame as he is set to release his debut gospel album Siineyo Ndi Ambuye. Njobvu has since said he intends to release ‘Muzinthu Zonse’, ‘Tiyambe Tafuna Yesu’, ‘Siineyo ndi Ambuye’, and ‘Zoona?’ for people to sample next week. The album is being recorded at Ituma Studio in Blantyre by Gresham Mokwena. “I have been working on this project for three years. I have 20 songs but I will choose about 14 to go into the album. The songs are all in Chichewa except two and I have taken long because I did not want to rush,” Njobvu said. He said the inspiration for the songs would come after, sometimes, listening to a sermon at his church or on television and often after reading the Bible. “For me, this is a project that just had to happen,” the singer said. His stitching of a gospel album has since raised questions of as the continuity of the Edgar ndi Davis Band, with some quarters speculating Njobvu is turning gospel. But Njobvu said Tuesday Edgar ndi Davis Band is intact. “A lot of people have asked whether the fact that I am carrying a gospel project means an end to Edgar ndi Davis. However, this is not necessarily so,” Njobvu said. He emphasised that what people do not realise is that he has been playing music at church almost throughout his entire music journey. “I have been doing this all along and at the same time singing with my friend Edgar Kachere, Giddes Chalamanda and the entire band that makes up Edgar ndi Davis,” he said. The singer and guitarist, who is also a lawyer, has led the strings to build Edgar ndi Davis Band alongside Kachere, who is also a lawyer. “As a person I find a lot of meaning and purpose in worshipping God. I have actually served as the music director at our church–Soche Baptist-for now close to 10 years,” Njobvu said. He added: “Playing music with Edgar ndi Davis Band does not, on its own, make one holy. God wants everyone to worship him. I am dedicating this project not to my friends, my family, my fans or any person but to God the deliverer”. Njobvu said ‘Deliverer’, is also the title of one of the tracks. “One thing you will notice is the distinction in the style between this music and Edgar ndi Davis. This has been done deliberately firstly to create a different identity between two sets of projects and, secondly, as an artist I also needed to try something different, a sort of new challenge,” Njobvu said. The singer said God gave him a talent to handle diversity and that he cherishes this. For instance, Njobvu said, he has sung one song fusing in the jazz genre and that there is also a song in which he has used country. “I just love the whole experience. I have also tried to work with children Darren and Dominic who are aged seven and five, respectively, in one song just to come up with a song for kids,” he said. Njobvu said he has been fortunate to loop in some seriously talented people in the project including Faith Mussa, Erik Paliani, Collen Ali, Mvahiwa Hanke and Mokwena. “I also had fantastic singers like Harriet Phiri, Allan Jogi and Soche Baptist Praise Team on vocals. Very soon I plan to shoot a number of music videos,” he said. 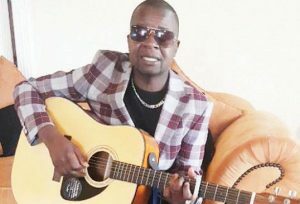 He revealed that his first appearance will be on October 28 at Blantyre Cultural Centre where Soche Baptist Church Women’s group will be launching their album. Kachere said Tuesday he endorsed the album and that he is happy with the development. “I will also be there during the launch and let me also say that we are now in the process of working on our fifth album,” he said.